As plug-in hybrid electric vehicles and battery electric vehicle ownership is expanding, there is a growing need for widely distributed publicly accessible charging stations, some of which support faster charging at higher voltages and currents. Many charging stations are on-street facilities provided by electric utility companies or located at retail shopping centers and operated by many private companies. These charging stations provide one or a range of heavy duty or special connectors that conform to the variety of electric charging connector standards. Electric Vehicle Service Equipment (EVSE) is anydevice which brings ACpower to your car, where it is then turned into DC power andfills your car’s battery, via the car’s onboard charger. EVSE devices supply electric energy for the recharging of electric vehicles, such as plug-in electric vehicles, including electric cars and plug-in hybrids.The charging systems are normally installed in outdoor locations so they must be able support wide temperature operation. 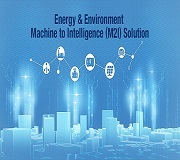 Advantech’s UNO-2362G supports -10~60 °C wide temperature operation so was a natural choice for this system integration project. Each electric vehicle owner swipes a card through the machine to make an electricity payment when they connect to these chargers around the cities. 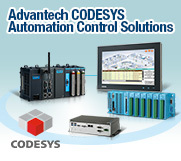 UNO-2362G Embedded Automation Controller and ADAM series cost effective data gateways are the brains of the system. The small form factor fanless automation computer has a powerful low energy AMD Dual Core T40E processor. The small form factor embedded automationcomputers are fanless and highly ruggedized. 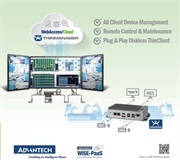 They include Advantech’s iDoor technology which supports automation feature extensions such as industry fieldbus communication, Wi-Fi/3G, and digital I/O. 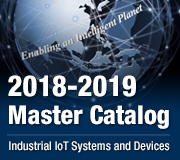 They are used in conjunction with ADAM series to connect to the displays, process card payments, and have information relayed from EVSA devices to the central control center. To win this bid it was essential that the system integrator could have a highly reliable low cost industrial computer which could connect to the monitors distributed throughout the stations and be capable of being monitored and controlled from a central location. 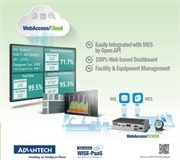 Advantech’s UNO-2362G Embedded Automation Controller and ADAM series cost effective data gateways delivered what the customer was looking for and more.